A.W. Chesterton Company is one of the largest international manufacturers of industrial fluid sealing products, mechanical seals, mechanical packing, gasketing, pneumatic and hydraulic seals. In addition, they offer a comprehensive line of chemical products to address most industry maintenance and specialty coatings requirements. These products are separated into the Technical (TP) Products and the ARC Composites and Coatings product categories. The company works with customers to provide the solutions that help industry run more reliably, efficiently and economically. Their vision is to be the primary choice for products and services to improve reliability, productivity and performance in the process industries. Blackmer® is the leading global provider of innovative, high-quality sliding-vane pump and reciprocating compressor technologies for the transfer of liquids and gases. Since 1903, the Blackmer brand has stood for unparalleled product performance, superior service and support, well-timed innovation and a commitment to total customer satisfaction. Our pumps and compressors are used in a multitude of applications in the process, energy, transport, and military and marine markets. Every pump, every compressor, is supported by a worldwide network of distributors and original equipment manufacturers. TLV is an international company with headquarters and manufacturing facilities located in Kakogawa, Japan. TLV prides itself on producing innovative high-quality steam related specialty products such as steam traps, check valves, pressure reducing valves, pumps and diagnostic equipment. TLV's goal is to provide customers with the 'best solution' through the combination of superior products and engineering expertise. This mission is implemented through a worldwide network of associate companies. The inpro/seal company manufactures a bearing isolator that provides the highest level of bearing protection available. with the latest engineering and manufacturing technology inpro/seal will meet your reliability requirements with seals designed specifically for your equipment with quick, timely deliveries. For over 150 years, Ashcroft® instruments have set the standards for accuracy, quality, and dependability in pressure and temperature measurement. With products to suit virtually any application, Ashcroft pressure gauges, temperature instruments, pressure and temperature switches, transducers and transmitters are specified and trusted around the world for the most demanding requirements. In chemical processing, oil refineries, power plants, pharmaceutical, food, and industrial equipment applications, the Ashcroft trademark is the industry standard for performance and reliability. Magnatex magnetic drive pumps are the efficient and dependable choice for medium-flow, medium to high head applications.Magnatex pumps are installed in thousands of plants worldwide handling a wide variety of tough pumping challenges. Backed by 70 years of experience and commitment to manufacturing quality centrifugal pumps, Griswold provides solutions for many of the world’s largest chemical, oil & gas, power generation, water parks, zoos, aquariums, and fountain companies. 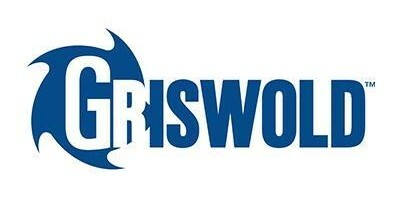 Griswold is a leading manufacturer of centrifugal pumps and baseplate systems by providing world-class engineering expertise, lean manufacturing, testing capabilities, and exceptional customer support to meet our customers’ most demanding application requirements. DuPont puts science to work by creating sustainable solutions essential to a better, safer, healthier life for people everywhere. Operating in more than 70 countries, DuPont offers a wide range of innovative products and services for markets including agriculture, nutrition, electronics, communications, safety and protection, home and construction, transportation and apparel. The DuPont® Vespel® group makes a variety of parts and shapes for various industrial equipment applications in tough chemical environments. Customers in the refining, power, chemical, and other industries have all benefited from using Vespel® CR-6100 in their pumps resulting in significant equipment uptime and a reduction in the overall cost of ownership. Kalrez® parts manufactured by DuPont Performance Elastomers, are the elastomer seals of choice for demanding sealing applications. They are supplied in standard O-rings or custom shapes and Kalrez® resists over 1,800 different chemicals while offering high temperature stability. These and other advanced properties help maintain seal integrity, reduce maintenance and operating costs and improve safety. During its 85-year history, the family owned company has become a world market leader in stirring and mixing technology. Serving markets from Chemical, Cosmetic, Pharmaceutical, Energy & Environment, Hydrometallurgy, Biotechnology, Food and Beverage. For more than 60 years, OPW Engineered Systems has provided innovative solutions for some of the most challenging liquid handling applications. They take pride in their ability to custom design and manufacture swivel joints, loading arms, quick disconnect and dry disconnect fittings, and site view indicators for specialized applications. Safe Harbor Access Systems is the preferred provider of loading platforms and safety access systems which incorporate fall protection and safety solutions for bulk loading areas. We serve a varity of markets whcih include railcar, trucking, marine, crude oil loading, and LPG loading. Hyspan Precision Products was founded in 1968 and has earned prominence as a designer, manufacturer and provider of expansion joints for the world market. They offer a broad spectrum of conventional and innovative products designed to meet your expansion joint requirements. Hyspan also manufactures metal bellows pump connectors, flexible metal hose connectors, packed slip style expansion joints, compensators and pipe guides. Ruhrpumpen is an innovative and efficient centrifugal pump technology company that offers operators of Pump systems a wide range of quality products. We are committed to worldwide excellence with a complete range of pumps to support core markets which are Oil & Gas, Chemical, Power, Industrial Applications, Water and Mining. Our broad product line complies with the most demanding quality standards and industry specifications such as API, ANSI and Hydraulic Institute Standards. 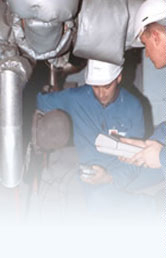 Ruhrpumpen is vertically integrated with its own foundry, machine shop, pump manufacturing plants and service centers. With strategically located manufacturing plants, operating offices and service centers in many parts of the world, Ruhrpumpen is a global pump company with the strength to focus on the local necessities of each client.